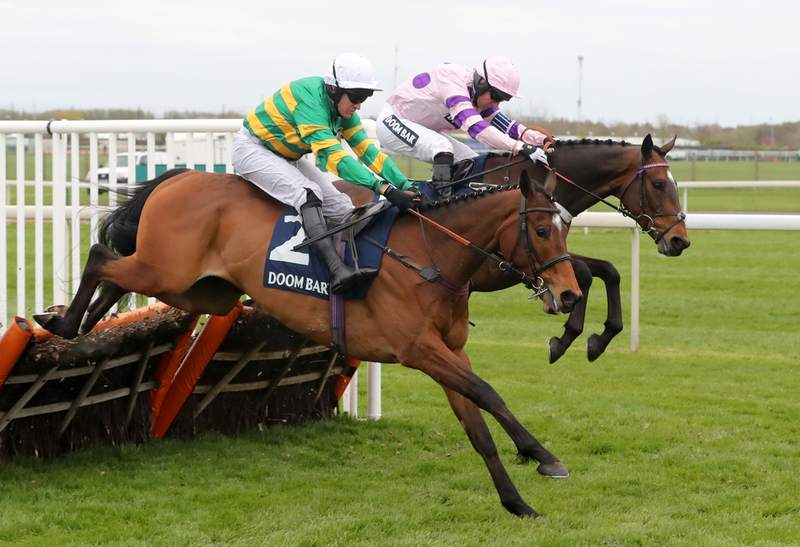 Three Cheltenham Festival winners from three weeks ago headline next month's Ryanair Novice Chase at Fairyhouse - a contest which twelve months ago provided this year's subsequent Gold Cup winner Al Boum Photo. Wide margin Irish-winning duo Duc Des Genievres and A Plus Tard - who won the Racing Post Arkle and Close Brothers Handicap Chase respectively look set to clash with JLT scorer Defi Du Seuil in a Grade One over two and a half miles at the Irish Grand National meeting. Trainer Willie Mullins has nine others aside from the grey Duc Des Genievres in the melting pot, including Camelia De Cotte and Chacun Pour Soi who will look to follow up last year's success for the yard. Along with Defi, Mick Channon's Glen Forsa - who unseated early on in the Arkle when sent off the favourite, Harry Fry's Bags Groove and the Kim Bailey-trained Vinndication; fifth to the Philip Hobbs-trained five-year-old in the Thursday opener are the other high-profile British possibilities. Delta Work looks the best pick of the Gordon Elliott battalion; (who saddles eight in all) after finishing a strong third to Topofthegame and Santini in the RSA - both of whom look to be heading to Aintree to lock horns once more. Honeysuckle - the unbeaten mare who was forced to miss the Festival due to a late injury problem, could also return later in the afternoon in the Irish Stallion Farms EBF (Mares) Novice Hurdle, which has attracted 27 entries in all. The one-two from the Mares Novice Final at Cheltenham - Eglantine Du Seuil, which provided Noel Fehily's farewell Festival winner, and Concertista, second on her debut for Mullins - are set to take each other on again. Jonjo O'Neill's Annie Mc, a winner at Newbury just last weekend, and Queenohearts - who has been in fine form for trainer Stuart Edmunds are the only potential British players. Peter Roe, general manager of Fairyhouse, said: "Our twin feature races on Easter Sunday are firmly established as key events in the jumps calendar, and we are delighted with the strength and depth of entries for both. "Last year's Ryanair Gold Cup winner Al Boum Photo went on to claim the Magners Cheltenham Gold Cup, and the race was one of the most informative novice chases of the season. "To have three Cheltenham novice-chase winners entered for the Ryanair Gold Cup is a great testament to the race. "The Grade One Irish Stallion Farms EBF Mares Novice Hurdle has attracted the first four home from the mares' novice hurdle at Cheltenham - and it will be intriguing to see how they fare against the impressive Honeysuckle, who won her maiden hurdle here at Fairyhouse in November and returned to the course to land the Solerina Hurdle at the end of January." The Irish Grand National headlines the meeting at Fairyhouse, and will be staged on Monday 22nd April.